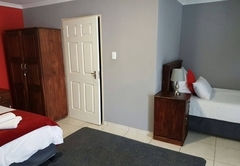 Ehrlichpark Lodge is one of the Bloemfontein guest houses and provides accommodation in 10 guest rooms for tourists visiting the Motheo Region. 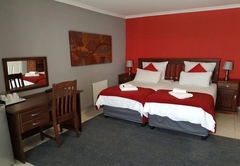 Ehrlichpark Lodge is conveniently located in the peaceful and tranquil suburb of Ehrlich Park in Bloemfontein. 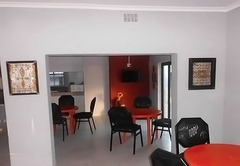 The lodge features a communal lounge and dining area, as well as braai facilities. 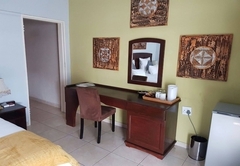 Each room features an en suite bathroom. 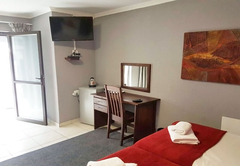 Room facilities include air-conditioning, electric blankets, a desk, fans and heaters. 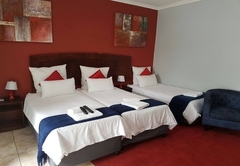 Selected DStv channels, a mini fridge and tea / coffee making facilities are also provided. 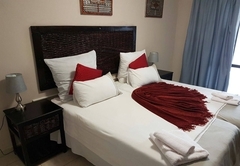 The rooms sleep three guests in either three singles or one double bed and one single bed. 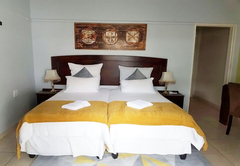 These rooms are furnished with twin beds. 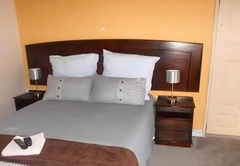 The room is furnished with a double bed. Breakfast, lunch and dinner can be arranged on request. 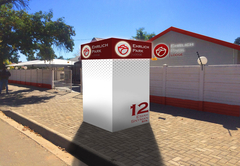 En-suite Shower/bathroom. Bath soap, lotion and shower cap. Towels. Electric blanket (winter season). Couch, sofa/chair. Work-desk. Air-conditioning. Fan heater. 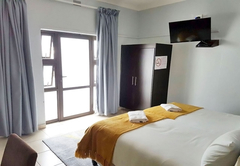 Plasma TV screens (DSTV channels). Tea/coffee station. Iron and board (on request) Mini-bar. Response timeEhrlichpark Lodge typically responds to requests in 5-10 minutes.